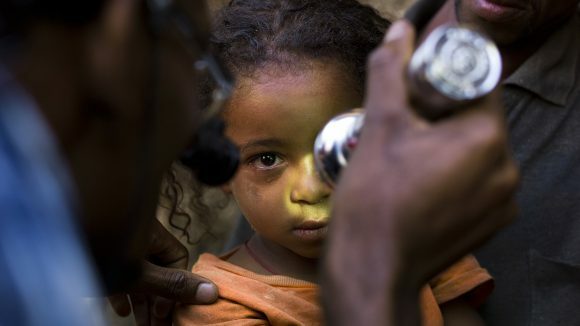 The Accelerate trachoma elimination programme aims to support at least 10 countries to eliminate trachoma as a public health risk, and speed up progress in several others by 2023. 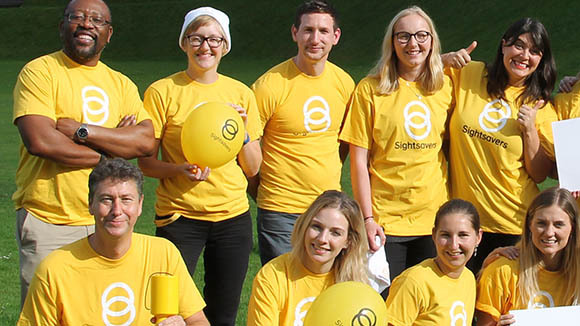 Sightsavers has embarked on a remarkable journey with some of the most trusted names in modern philanthropy, in a bid to eliminate an ancient and blinding disease. It began as part of The Audacious Project, hosted by TED, to turn transformative ideas into action. Motivated by our long-standing partner Virgin Unite, we pitched the audacious idea of eliminating blinding trachoma, to inspire donors to come together to end an ancient disease that is depicted in the hieroglyphs on ancient Nubian tombs. As a result, a $105 million fund has been announced to accelerate the end of trachoma. This latest step was announced by Richard Branson, via recorded video link, at the high-profile Global Citizen concert in Johannesburg on 2 December 2018. We’re extremely grateful to all donors involved in the Accelerate programme. These include the Bill & Melinda Gates Foundation, the Children’s Investment Fund Foundation, The ELMA Foundation, UK aid and Virgin Unite. The Accelerate Programme builds on the announcement UK aid made in April 2018 to boost elimination efforts through the Commonwealth 2018-2020 Fund. What does Accelerate hope to achieve? 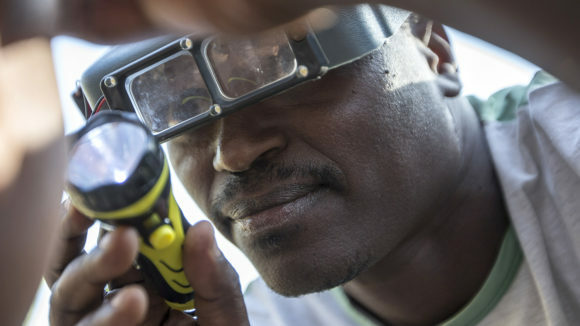 This programme, running until 2023, aims to eliminate trachoma in at least 10 African countries, make significant progress in several others, and build on ground-breaking research into the link between the antibiotic used to treat trachoma and a reduction in childhood mortality. Sightsavers and our partners will also work alongside endemic countries to help strengthen healthcare systems so progress continues in the long-term. Accelerate aims to eliminate trachoma as a public health risk in Benin, Burkina Faso, Cameroon, Cote d’lvoire, Guinea-Bissau, Guinea, Kenya, Senegal, Tanzania and Zimbabwe. It also aims to make progress towards trachoma elimination in Ethiopia and Nigeria. 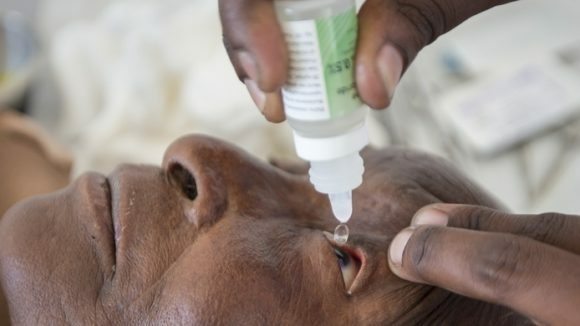 Thanks to the work of endemic countries and the support of individuals, families and organisations such as USAID, The END Fund, Conrad Hilton Foundation and The Queen Elizabeth Diamond Jubilee Trust since 2011, the number of people at risk of trachoma has halved. It is now within our grasp to make history by ridding the world of this painful disease. But more funding and support is needed to finish the work we’ve started. A man smiles, wearing a yellow Sightsavers tshirt. Ophthalmic nurse Givemore travels to remote communities in Zimbabwe to examine people for signs of blinding trachoma. He wants to make sure everyone is treated so their sight can be saved. 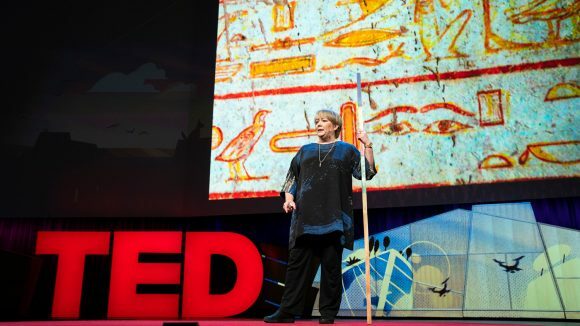 During her talk in Vancouver on 11 April, Caroline Harper urged philanthropists to support a new project that could help to eliminate the disease. Bill and Melinda Gates have said that by 2030, diseases including trachoma and river blindness will be consigned to the history books. Sightsavers CEO Caroline Harper says we could be just years away from one of the greatest achievements in human health: ridding the world of trachoma.